"Building our reputation one customer at a time." 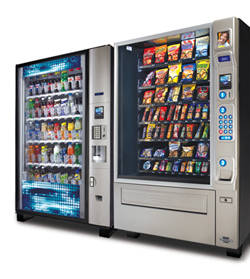 Welcome to VMC, a full service vending company dedicated to complete customer satisfaction.The vending equipment located at your facility is maintained and stocked by trained VMC employees with the products YOU desire. Our dedicated team of professionals take pride in providing a level of service that differentiates us from the competition. We would like to thank all our existing customers and welcome our new customers to our growing VMC family.